This clay Nativity was formed and painted by hand. The clay pieces are glued to a wooden base that is painted black. The backdrop is three painted wooden stars on pegs. 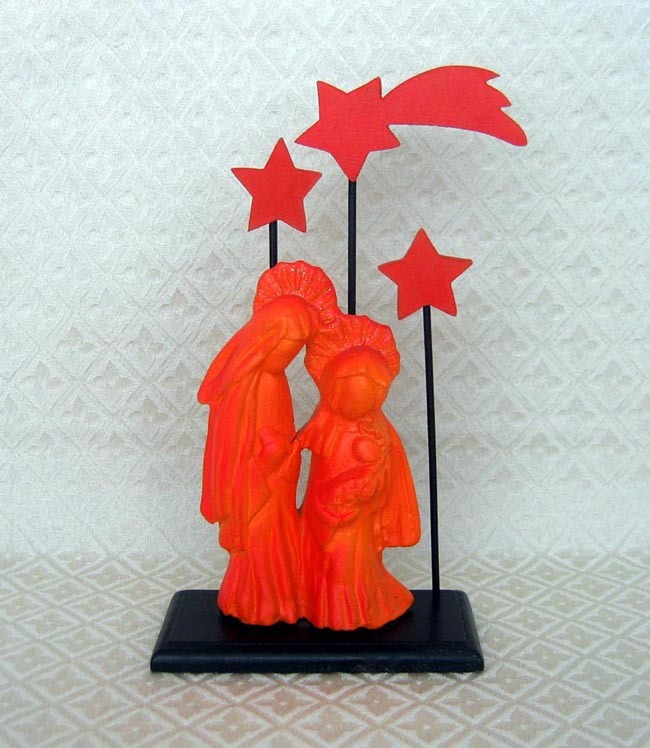 The Nativity measures 8 inches tall (to the top of the tallest star) by 4.5 inches wide. The piece was purchased at an artist fair that runs every Saturday in Quibor (Lara state), Venezuela. Many different artisans bring their works to sell from booths. They usually make only a few of each piece.